Bite level 1 is obnoxious or aggressive behavior but no skin contact by teeth. Level 2 is skin contact by teeth but no skin puncture. Level 3 is one to four punctures from a single bite with no puncture deeper than half the length of the dog’s canine teeth. Level 4 is one to four puncture wounds with at least one puncture being deeper than half the length of the dog’s canine teeth. 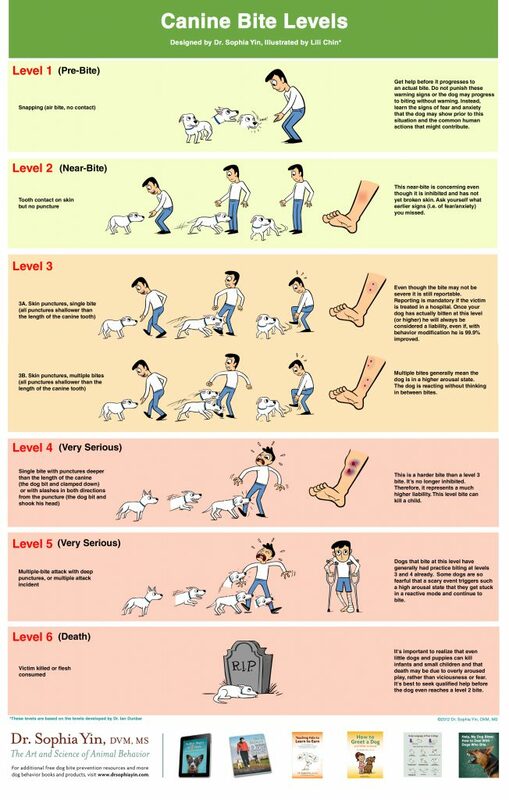 Level 5 is a multiple bite incident with at least two Level 4 bites. Level 6 is a bite resulting in death. Pets Are The Best Medicine.